Questions, questions. And all answered by 77 The Hill salon! Q. Why can’t I go blonde today? A. This will depend on the base shade of your natural hair and how damaged it might be from the previous colour. The darker you are, the harder it is to lift out all the tones in your hair. The yellow tones are the last to lift during the lightening process and can give your hair a ginger or gold tone. Bleach is able to lift out all the pigment from your hair but sometimes it takes a few attempts which are not practical in one day and can make your scalp sensitive, not to mention expense and time. Q. Why does my colour fade so quickly? A. This can be a common problem and will depend on a number of factors: porosity, lifestyle, shade and tone of colour, how frequently it is washed and use of good professional products. 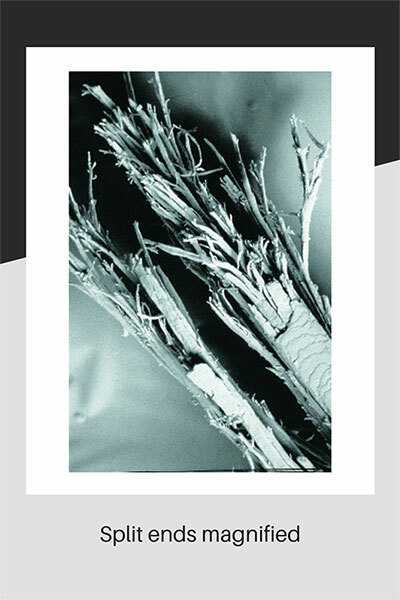 When hair is over processed it becomes porous meaning the cuticle is open and unable to hold colour. There are things you can do to help, such as use a colour restoring shampoo, have conditioning treatments to restore the health of the cuticle and close it down and have your hair coloured professionally to avoid overlapping and colour build up. Q. How do I get rid of split ends? A. There is only one way to get rid of split ends – cut them off! The best way is to prevent them in the first place having a regular trim and use good shampoo and conditioners and regular deep treatments. Q. Why do I have to have a skin test before a colour? A. A skin test will in most cases establish whether you could be allergic to colour. It’s a simple test which is carried out 48 hours before the required service, using a tiny sample of hair dye in the crook of the elbow. A negative result would be inflammation, redness and or swelling, in which case the colour service would not be carried out. A bad reaction to colour is rare but also extremely rare – fatal. You should not have colour applied to your hair if you have had a tattoo in the last 12 months. Q. How do I get rid of the yellow tone in my blonde hair? A. Your stylist will recommend a toner, depending on how severe the yellowing is. You can maintain this at home too by using a purple shampoo, this will neutralise any unwanted gold or yellow tone. Q. Are Brazilian smoothing systems suitable for coloured hair? A. Yes most definitely. A colour should be carried out previous to the Brazilian blow dry. In some circumstances, it can be done on the same day. Q. If I have hair extensions, do I have to have a whole head? A. The answer to this is no you do not. You can have any amount you like depending on thickness and length required. 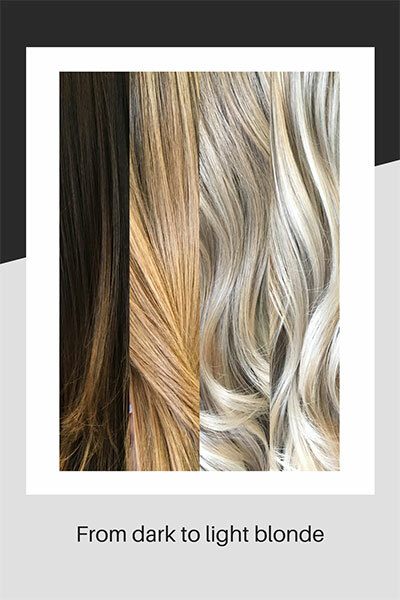 Before any extensions are carried out, a full consultation will take place where you can discuss what you would like and then decide between you and your stylist what is best. Q. What can I expect from a full-colour change in my hair? A. You will need to buy a good quality shampoo to help retain the colour and it also helps to use a conditioner that will complement the shampoo. You need to consider your makeup and lipstick colour too as your skin tone can look different with a completely new colour. Q. How do I get rid of my dry flaky scalp? A. There are certain scalp conditions that should be looked at by a pharmacist and in severe cases a GP. However, most scalps are in a good healthy state. A dry scalp is caused by several things. Not enough washing, hormones, particularly after a baby, dry skin from the winter or a poor diet. It’s important to drink plenty of water, have a healthy diet with plenty of fruit and veg and to keep the scalp moisturised. If there is an underlying more serious scalp condition, your stylist will pick this up initially at a hair consultation and he/she will recommend a course of action. A healthy scalp creates healthy shiny hair and should be considered as highly important in terms of your well-being. Q. How long should a Brazilian blow dry last? A. 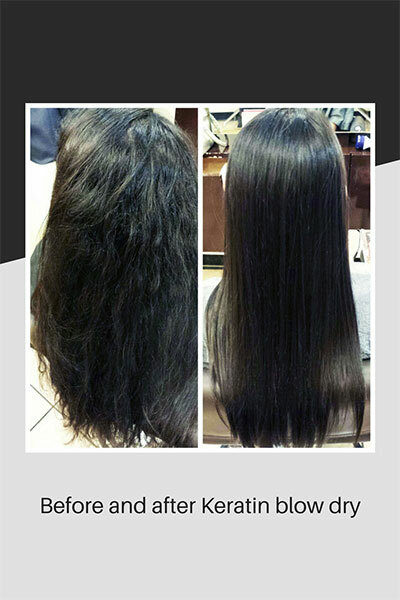 A Keratin blow dry (Brazilian blow dry) can last 3 months and beyond. It will smooth out and de-frizz. In some cases, it will make the hair appear straight however it is not sold as a straightener. It will plump and smooth the hair and make it shine and is long lasting provided the hair is looked after and instructions are followed with an aftercare package and sulphate shampoo must be used always. If all the steps are followed, it will last until it grows out depending on growth rate. What’s new at 77 The Hill salon! Summer’s coming…….